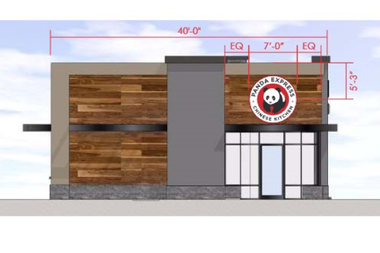 The buffet-style Chinese chain bought a 16,000 square-foot lot at 6501 S. Cicero Ave.
MIDWAY — Panda Express is soon coming to the neighborhood. The buffet-style Chinese chain recently purchased a 16,000 square-foot lot at 6501 S. Cicero Ave. from First Western Properties, Inc., according to property records. The lot's price was $865,000. The restaurant will be adjacent to the forthcoming Vib, a 74-room Best Western boutique hotel near Midway International Airport. Fahim Lakhani, vice president of acquisitions with First Western Properties, said Panda Express' investment is sign of changing times on the busy strip of Cicero Avenue near the airport. “The intersection is undergoing a major revitalization,” Lakhani said. It is unknown when Panda Express will open. Company officials were not immediately available for comment Thursday. Lakhani expects construction to begin in late June.